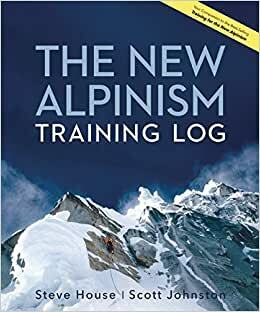 Meant to go hand-in-hand with Steve House and Scott Johnston’s groundbreaking, bestselling Training for the New Alpinism, The New Alpinism Training Log is a goal-setting planner and a workout journal in one. 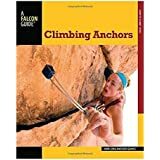 With pages to plot your program based on your aspirations, and others to break it down and record your monthly, weekly, daily workouts, this book will be your in-the-gym or on-the-mountain companion to training for any mountain ascent. Includes inspirational and motivational tips throughout. Steve House is a world-renowned climber, mountain guide, and Patagonia Ambassador, widely regarded for his clean, light and fast style. He is widely published in climbing magazines and journals, and several books. He has worked as a Patagonia Ambassador since 1999. He is the author of Training for the New Alpinism: A Manual for the Climber as Athlete (Patagonia, 2014) and Beyond the Mountain (Patagonia, 2007). He lives in Ridgway, CO.
Scott Johnston, who grew up in Boulder, Colorado, has ski raced on a national and international level, and is an avid climber. He currently coaches several of the nation’s top cross country skiers, and climbs, establishing local climbing routes in and around his home town of Mazama, WA, in the North Cascades. This Training Log is so much more than just a logbook to record your training. It is meant to be used hand in hand with "Training for the New Alpinism", by House/Johnston. After reading Training for the New Alpinism and imagining a goal worthy of structured training, you are ready to grab this training log and work backwards to where you are right now. The training log is organized in an efficient way with ample notes before each training period. It's also very handy to have page references back to Training for the New Alpinism for further reading or more clarification. The training log isn't just for cutting-edge Alpinists either. Even a trip up the DC on Rainier should be planned out using this training log. It's pages are formatted to include Mountaineering and technical Alpinism training input. I was happy to see the Transition Period in the training log. I was worried that the log would be mainly for the Base, Specific, Taper and Peak periods since the Transition Period is mainly a break-in period before the "real" training starts. As stated though, it's an important period to get into athlete mode and ensure that you are fit enough to train. The actual training log pages where you record your planned training are much more evolved than the logbook pages in TFTNA. You plan out two weeks and write that. Then when you complete the training, you have a separate space to write the actual training performed. There are friendly prompts on each logbook page to remind you of important details such as training volume, sets and reps, and cragging goals. The training log also has a great Appendix where important information on training the different forms of strength is condensed and consolidated. The final pages are for a reference diagram of Scott's Killer Core Routine. I had written the routine on 3x5 note cards, but it's really nice to have a visual cue of each exercise. If you have started training using the principles in Training for the New Alpinism or if you are looking to start, this training log will be an essential part of success. I have used a spiral notebook for years, but this will be the replacement. As the preface says, "Go simply. Train smart. Climb well." This log provides a lot of great examples of how to track your training. You could certainly write in this log directly, but I used it as a guide to create my own tracking worksheets on the computer. This allows me to continue to reference the examples without having to look at my scribbling. The log is also great quick reference tool for planing your workouts based on information from the Training for the New Alpinism book. The information needed is easier to find in the log, apposed to searching through the whole Training for the New Alpinism book. Perfect companion to the Training for the New Alpinism book. Very well thought out, easy to understand plans.